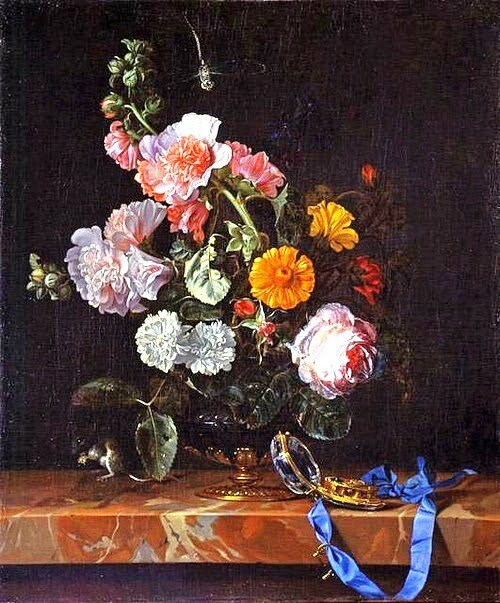 Abraham de Lust (Flemish artist, active mid 17th century) Flower Still Life Now an abundant everyday item, cut flowers were prized luxuries in 17th-century Europe. 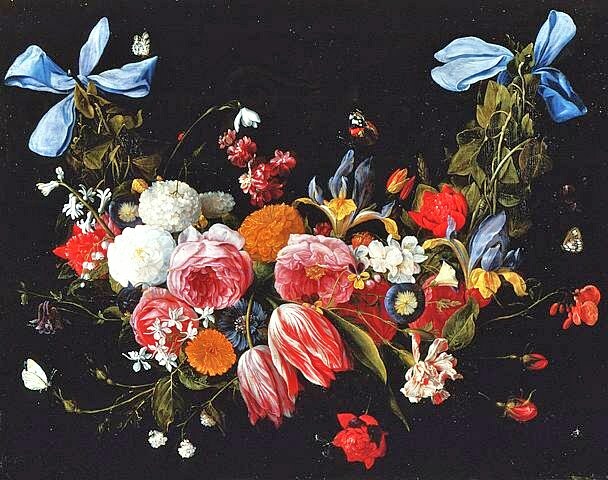 Only the most affluent could afford to have them in their homes or plant them in their gardens. 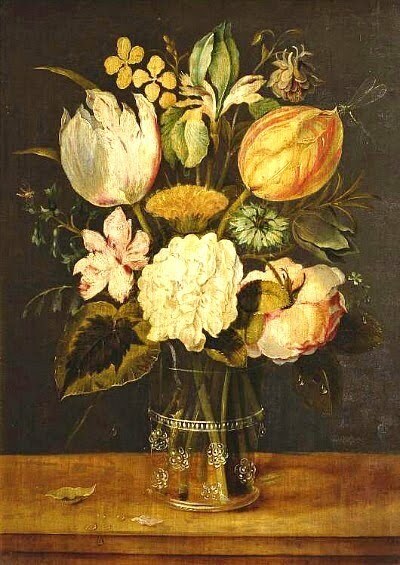 A general growing prosperity during the course of the 17th century, however, eventually caused flower gardens to become more popular. 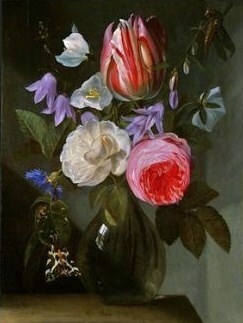 The garden was considered an extension of the home and vice versa, with garden bouquets often decorating the home. 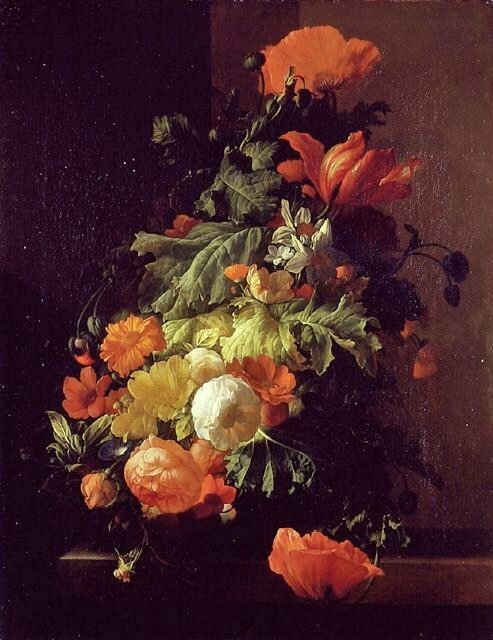 Abraham Mignon (Dutch Baroque Era Painter, 1640-1679) Hanging Bouquet of Flowers Introduced from Asia around 1600, the anemone, crocus, hyacinth and tulips were immensely popular in Europe. 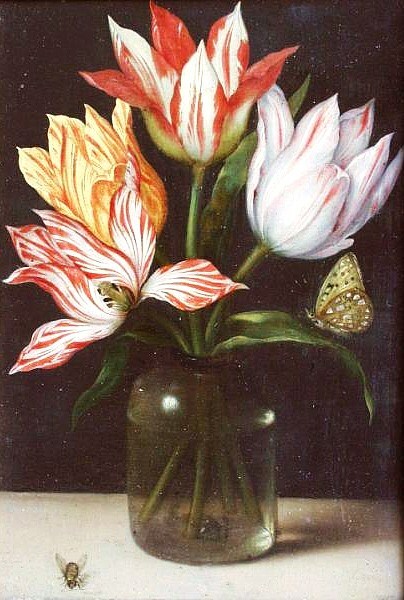 The Dutch trade in flower bulbs, tulips in particular, proved a highly lucrative business. 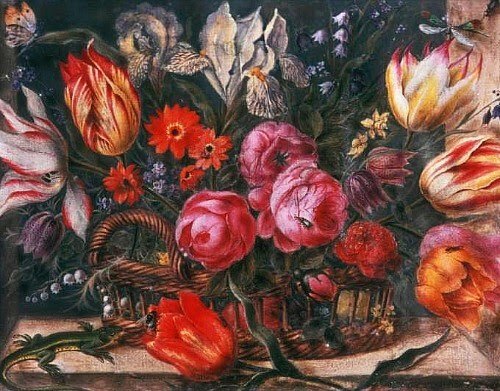 In around 1630, at the height of ‘Tulip Mania,’ an exceptional tulip bulb could cost as much as an entire house on a Dutch canal. 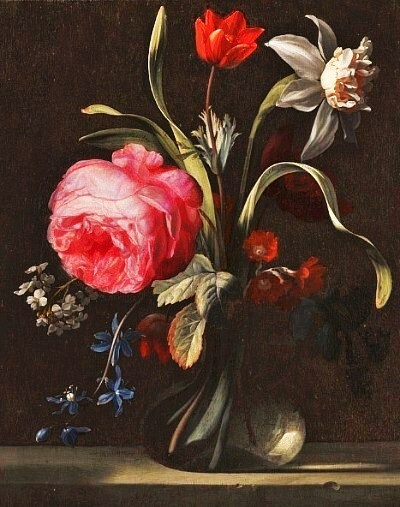 Alexander Adriaenssen (Flemish Baroque Era painter, 1587-1661) Flowers in Glass Vase The average citizen simply could not afford a bouquet for home. 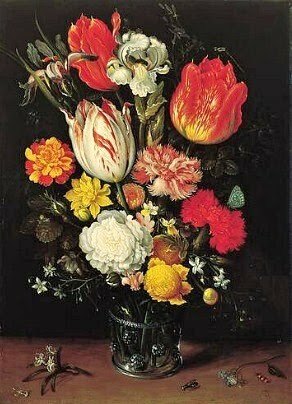 The first flower still lifes appeared in the Netherlands during the early 1600s, as a means of meeting the demand for flowers. 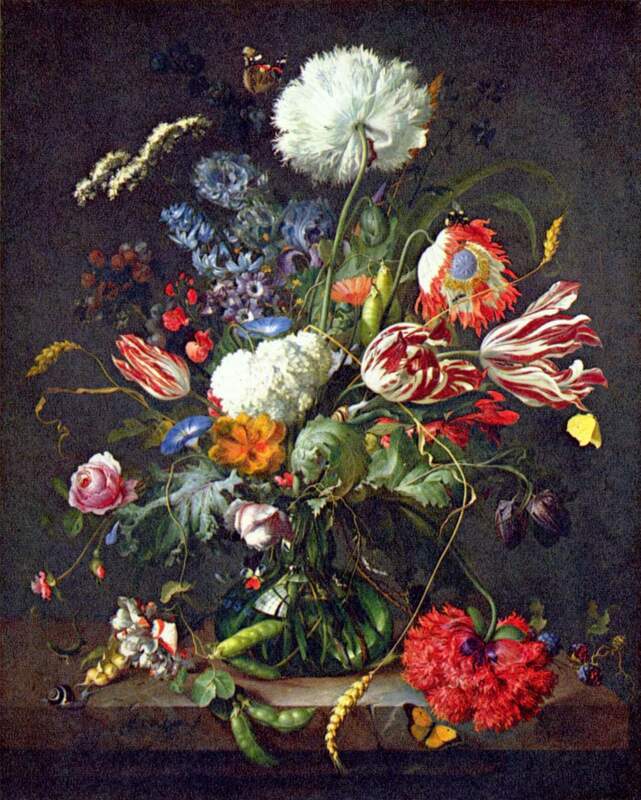 A painting of a flower was much less expensive than an actual bouquet and lasted generations instead of days. 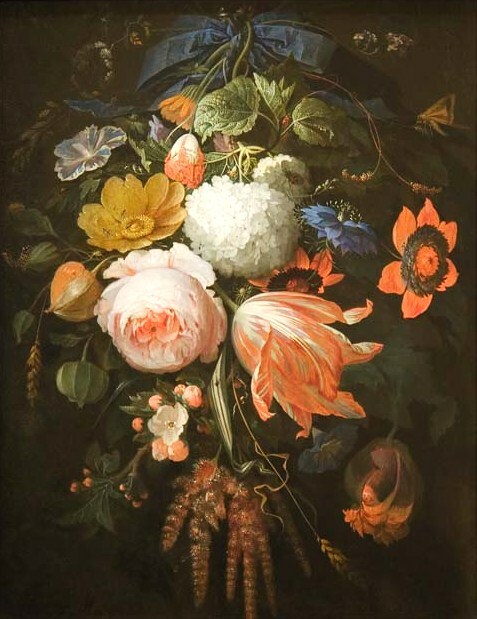 Many early flower still life painters were German, Dutch, and Flemish. 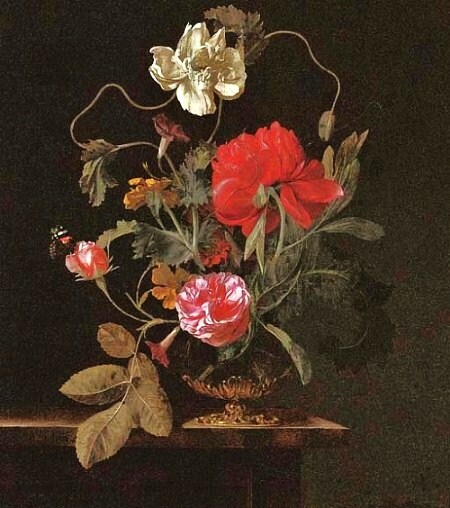 Some trained there, then moved throughout Europe and sailed to England to supply the growing demand, as the popularity of the genre spread. 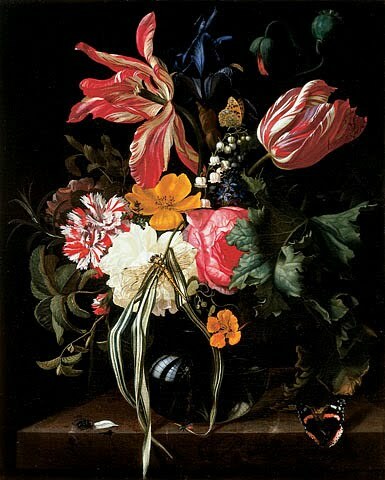 Ambrosius Bosschaert the Elder (Dutch Baroque Era Painter, 1573-1621) Glass with Four Tulips 1615 Flower still lifes were still in vogue during the 18th and 19th centuries, when the rise of large-scale commercial bulb-growing transformed the Netherlands into the flower nation that it remains to this day. 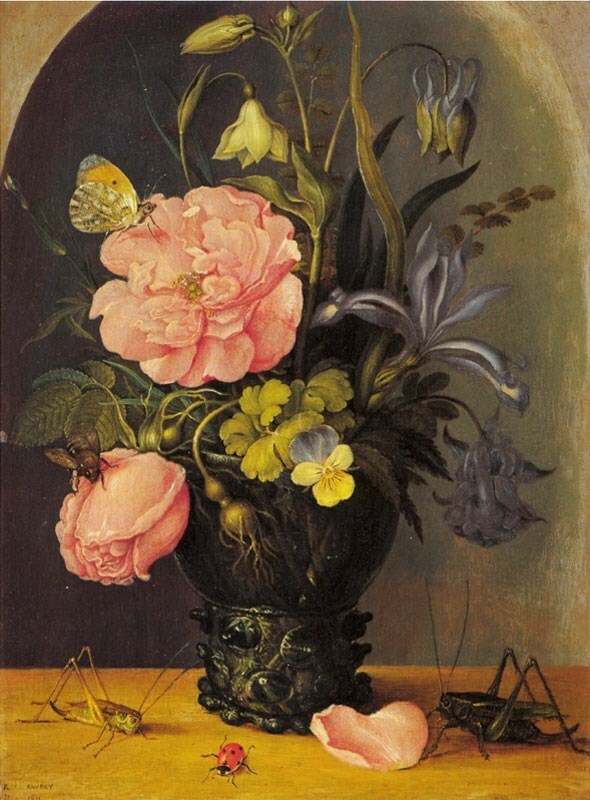 Export of those bulbs made the flowers of these still lifes available on both sides of the Atlantic. 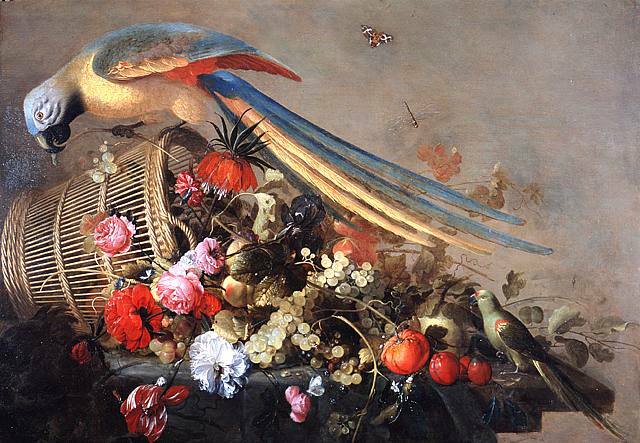 This entry was posted on 2013/10/06 by Anemalon. 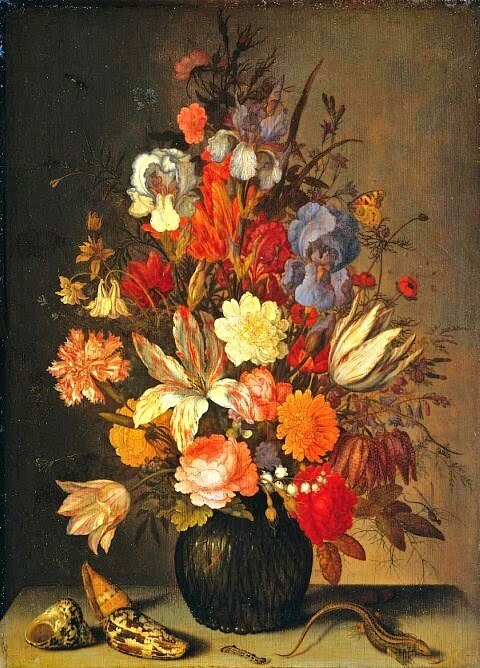 It was filed under Painting and was tagged with flower gardens.